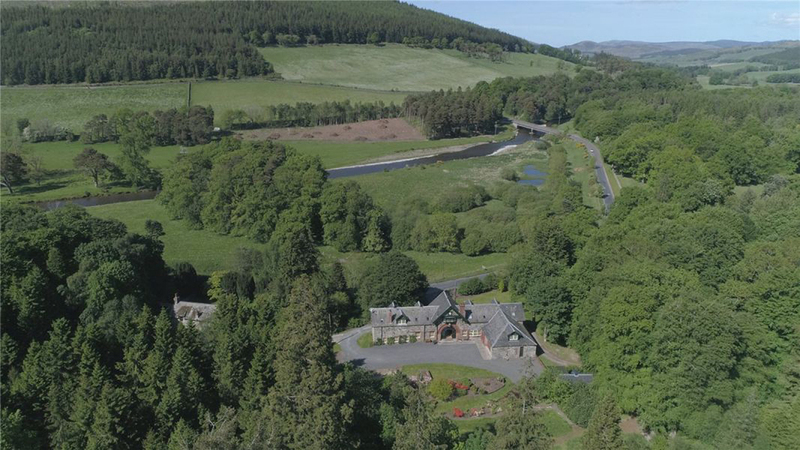 A stunning Peeblesshire coach house occupying a majestic woodland setting has come to the market. Bellspool Coach House, a striking conversion near Stobo, is now on the market through Strutt & Parker – in an area rich in Arthurian legend. 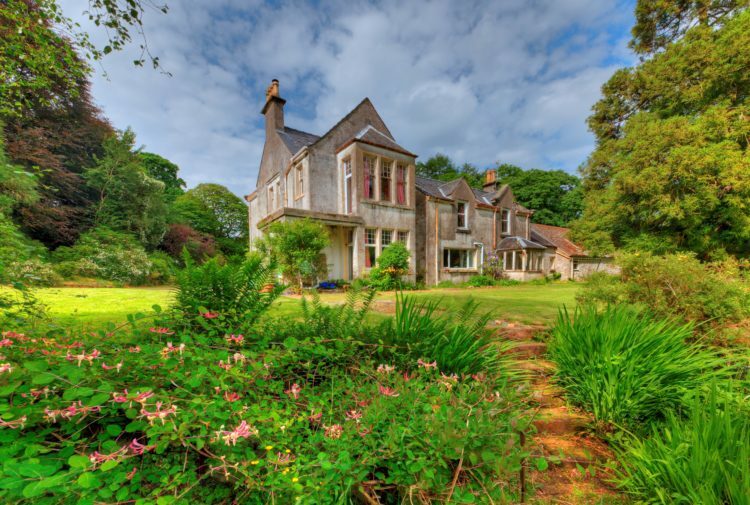 Originally built as stabling and carriage quarters for Dawyck House around 1863 and then developed to accommodate the advent of the motor car in 1909, it underwent residential conversion in 1998. In the intervening years, it was used variously as a byre, a school, an indoor bowls venue and an impromptu setting for musical session evenings. Several names and initials carved into the sandstone surrounds of one of the first floor windows on August 27, 1958 suggests that some boy scouts explored it while camping at Stobo. The current owners have further upgraded and extended it to create a beautiful and versatile five-bedroom family home. They put in an upstairs bathroom and added a walk-in wardrobe. They also created a well, having undertaken their own water divining experiment in the garden. A highlight is the bright and welcoming reception hall capitalising on the original Victorian red brick central archway which would have been the entrance to the coach house. 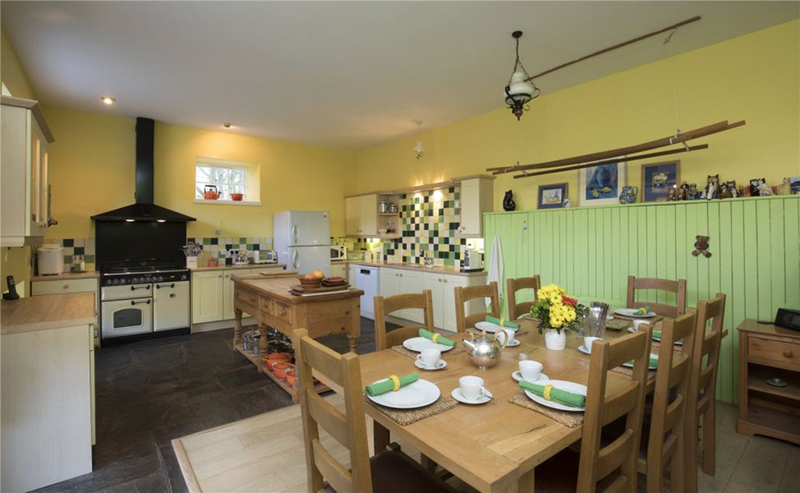 Additionally, the stone-floored kitchen benefits from ample storage and can accommodate a large table for family suppers; it is a lovely, characterful space. 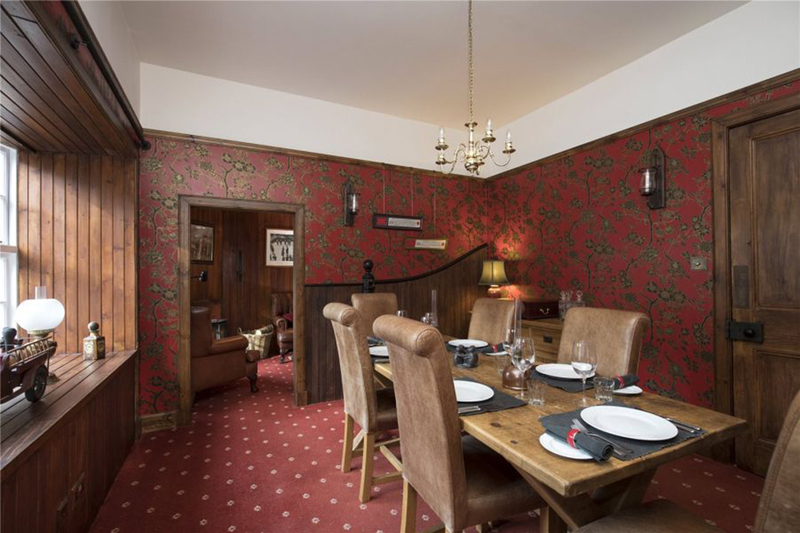 Of additional note is the dining room, lined with Cole and Son wallpaper from an authentic Victorian design, and an original stable post and tie set into the wall. A winch outside an upstairs window is a reminder of when they used to haul up the horse feed to be stored in the loft above the stables. 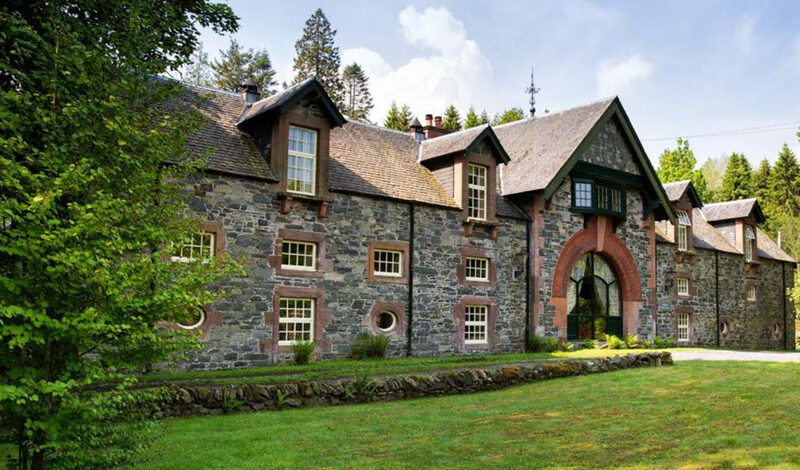 Bellspool Coach House, set in the Natural Scenic Area of Upper Tweeddale, was originally part of the Dawyck Estate and the house is a short stroll from the stunning 65-acre Dawyck Botanic Garden which was gifted to the Royal Botanic Gardens Edinburgh approximately 40 years ago. The arboretum has national and international significance for its horticultural value and role in nature conservation and boasts one of the finest tree collections in Scotland. It has a five-star rating by VisitScotland. 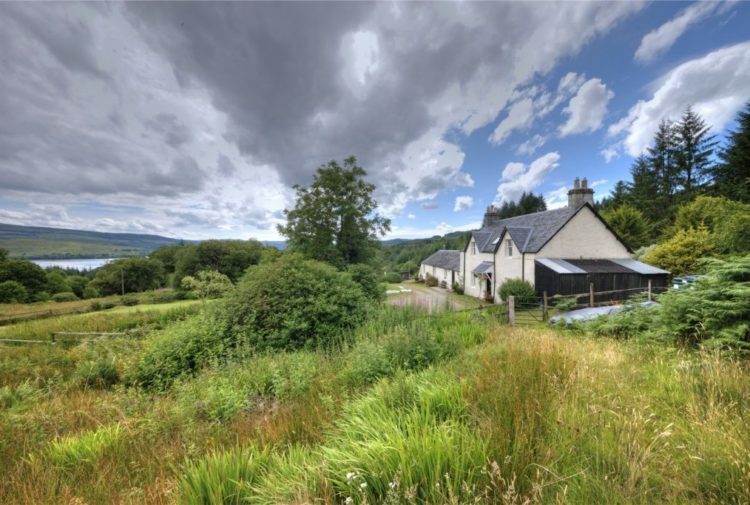 Situated in an area celebrated for its connections to Arthurian legend, the house is opposite the valley where St Mungo is said to have encouraged the wizard Merlin to convert to Christianity. This moment is celebrated in a stained glass window in Stobo Kirk. Merlin later died at nearby Drumelzier. The Merlin Trail – a recently created exploration route through southern Scotland designed to highlight the real story behind the magician – passes by the entrance of Bellspool Coach House. The area is also famous for its connections to the novelist John Buchan, author of The 39 Steps. The house benefits from the proximity to Stobo Castle, one of Scotland’s premier spas, while the area offers wonderful walking and cycling trails. 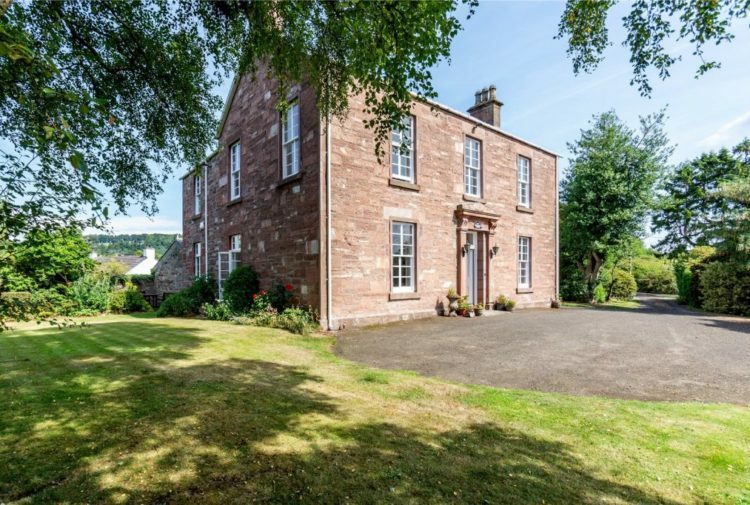 Harry McCorkell, negotiator in Strutt & Parker’s Edinburgh office, said: ‘Bellspool Coach House, with its striking Victorian archway, is a dramatic and yet welcoming property that is rich in character. The agents will consider offers over £650,000.